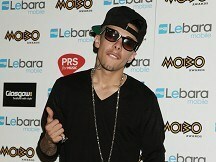 Sak Noel has flown into the charts at number one with his debut single Loca People. The Spanish DJ knocked former N-Dubz singer Dappy off the top spot and leapfrogged Maroon 5 and Christina Aguilera, according to the Official UK Chart. Originally released in 1999, Iris by the Goo Goo Dolls was propelled by to number three from 120 after Frankie Cocozza performed the track on The X Factor. The only other new entry in the top 40 was Loverboy by rock band You Me At Six, coming in at 39. Ed Sheeran's The A Team dropped out of the top ten, down to 11. James Morrison went straight in at the top of the album charts with The Awakening. The singer-songwriter knocked Kasabian's comeback Velociraptor off the top spot. Morrison, whose song I Won't Let You Go is at number six in the singles chart, said: "My first two albums felt like practice shots and now I've graduated. "In many ways this feels like my first proper album." Nirvana's seminal 1991 album Nevermind re-entered the top 40 at number five, thanks to a 20th anniversary edition. US pop punk stars Blink-182 entered the charts at number six with Neighbourhoods, their first album in eight years. Former Girls Aloud star Nicola Roberts entered the album charts at 17 with Cinderella's Eyes. Rapper T.I. has joined country star Taylor Swift in a surprise duet at her concert in Atlanta.Toward the end of Swift's set on Sunday night, she introduced T.I. John Wilding has missed out for a second time in his bid to be a star on the X Factor.The Essex teenager lost a battle with Frankie Cocozza for a place in the live stage. Sir Paul McCartney and his fiancee were among a host of stars at the premiere of Martin Scorcese's new biopic about ex-Beatle George Harrison.